More than 650 Houston high school students engaged in a oil and gas career conference on October 23, supported by the IPAA/PESA Energy Education Center. 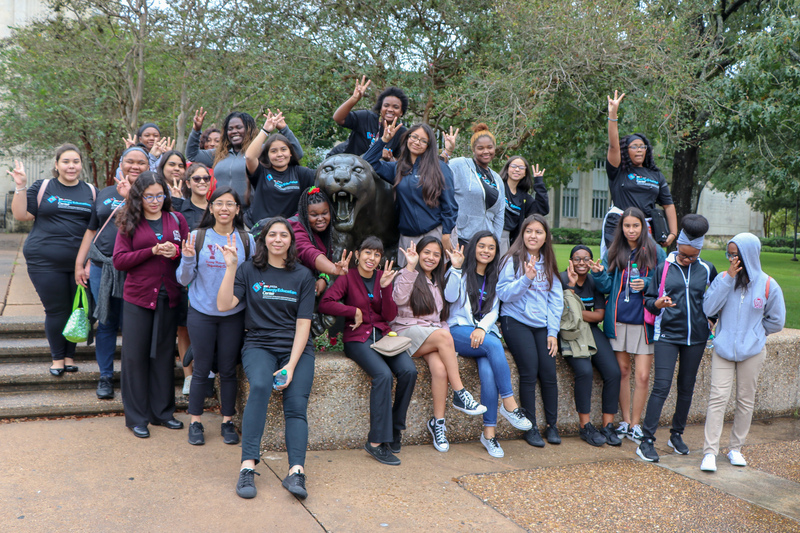 Students enrolled in one of the four Houston IPAA/PESA Petroleum Academies participated in a career panel and toured the University of Houston. 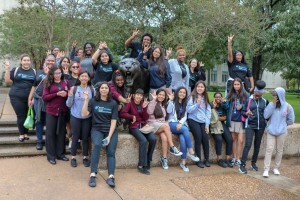 The academies, which teach the basics of the oil and gas value chain, as well as emphasize STEM education, offer a yearly externship with industry companies in Houston and Fort Worth. Senior students who were part of last summer’s externships spoke to younger students about their job shadowing experience. 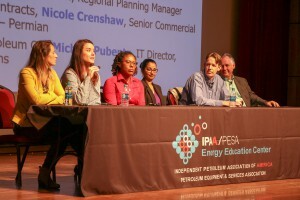 PESA Board Member Galen Cobb, co-chairman of the IPAA/PESA Education Advisory Board and Vice President of Industry Relations, Halliburton, welcomed students to the event and introduced the panel. “I have been involved with IPAA and PESA’s education efforts for a long time, and we are thrilled to see so many young people here today to learn about the exciting career opportunities available in the oil and gas industry,” Cobb said. Panelists included professionals from Member Companies Oceaneering, Schlumberger and TechnipFMC, as well as ExxonMobil, Oxy and Shell. Following a tour at the University of Houston, PESA President Leslie Beyer closed the conference. “Fostering meaningful connections and empowering students to think ambitiously about their career paths, the Oil and Gas Career Conference is an opportunity for future oil and gas professionals to visualize the positive impacts they will one day make on our industry. We are proud to be a part of this,” Beyer said.